Kenya is a African country with 43,500,000 people living out there. Area of Kenya: 581,309 km2.Capital City: Nairobi. 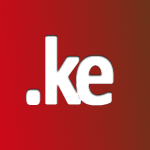 Kenya is another unrestricted country where we need to wait 30 days to register a domain name. Our domain name must contain at least 3 characters, limit is 63. We Can register unlimited number of domains.